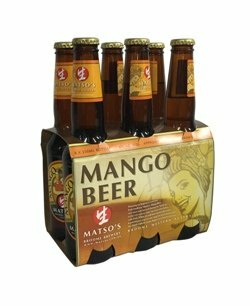 Always reminds me of the best times I had in Oz sitting on Cable beach, watching the sunset with a six pack of Matso's mango beer. Fruity and refreshing with a sweet flavour, a taste never to be forgotten. I even proposed to my girlfriend on Cable beach after going to the Divers Tavern to grab a six pack. Happiest days of my life. Broke my heart to leave.